Our good friends over at WoWTCGLoot.com are celebrating the holidays with special giveaways and deals. Learn more below on how to take part and possibly win some TCG pet loot! WoWTCGLoot is holding a special raffle from October 14th through December 31st. Registered WoWTCGLoot.com users that buy Toy Loot through their Instant Buy feature will earn raffle tickets for every qualifying purchase. You can view the available toys and corresponding raffle ticket on the Cheapest Toy Loot page. At the end of the giveaway, raffle tickets will be randomly selected, and if you are one of the lucky users holding a winning ticket, you have a chance to receive a TCG pet or other rare loot card! 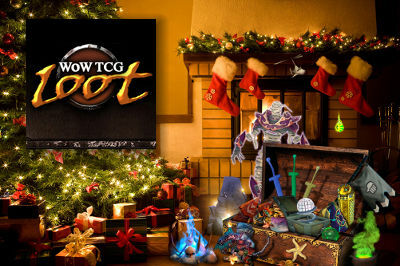 In addition to the Holiday Raffle, WoWTCGLoot has another special, limited time offer that includes TCG pets! The Christmas Special is a set of exclusive Blizzard Capsule figures that were showcased during BlizzCon 2014. There are six figures in total, featuring iconic characters from Warcraft, Starcraft and Diablo. The set of six costs $19.95. Not only will you receive all six figurines to add to your collection, you'll receive one TCG loot card as a bonus gift. The single card that you receive will be randomly picked from a predetermined list of rare and common cards. In an effort to help support WoWTCGLoot's holiday promotions, we're hosting our own giveaways on Facebook and Twitter with a very special TCG loot prize. 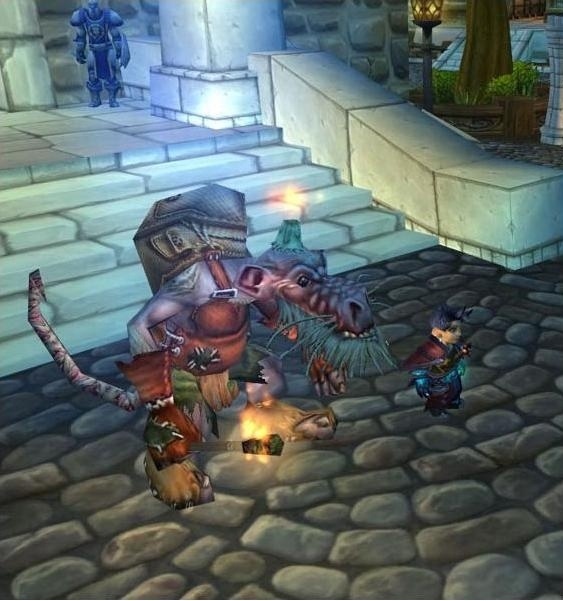 Although it's not a true pet, Fool's Gold allows you and others to have a non-combat Kobold follow you around (pictured right, image courtesy of Wowhead) until you log out, zone or die. It's a fun, unique temporary companion that will hopefully share its candle with you! How to enter: To enter our Facebook giveaway and possibly win one Fool's Gold, a contest post will be published onto the WarcraftPets Facebook page. Take a screenshot of your character in-game playing with one of your pets in the snow. It doesn't matter which snow zone you choose or which pet as long as we can clearly see you and your pet interacting. Then upload your screenshot as a comment under the contest post. Be sure to include your WarcraftPets username! Winners will be randomly selected. One entry per user, however everyone is welcome to enter once in this contest plus once in the Twitter giveaway listed below. To enter our Twitter giveaway, simply follow @WarcraftPets, Tweet a pet plus a holiday item, and the result of combining the two. Include the hashtag #WCPWOWTCGLOOT as well as your WarcraftPets username. Winners will be randomly selected. One entry per user, however everyone is welcome to enter once in this contest plus once in the Facebook giveaway listed above. Whatever happened to no purchase necessary? Buy one over priced item, get a small chance for a free only slightly over priced item. Even if you win the $500 store credit, the spectral tiger mount still costs you over $200. neat idea, but I guess myself and other non social-media using dinosaurs will just have to sit out yet another social-media only event.